Persimmon Pincushion: when closed this popular bag has the graceful outlines of a persimmon. When open, it reveals a delicious combination of small storage pockets and pincushion. 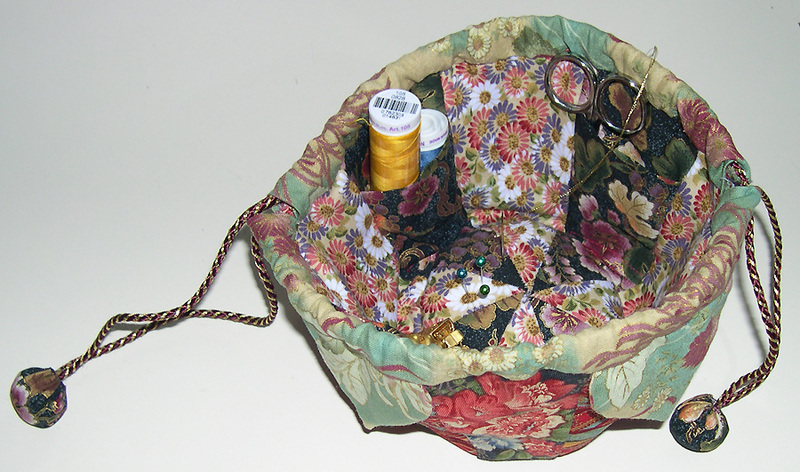 Great for travel or small home projects, it can be a sewing kit or a jewelry case.